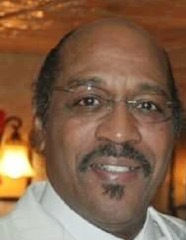 Dr. James Brunson Brown Jr.
After a life’s journey of seeking understanding and peace, Dr. James B. Brown, Jr. soul was released from this world unto Christ on Sunday morning, January 13, 2019. He was a member of Genesis Missionary Baptist Church, also along with the church of his youth – Damascus Baptist Church. He was born on May 31, 1944 to his devoted and Christian parents Mr. James B. Brown, Sr and Nellie Mae Brown in Brighton, Alabama. The family moved to Madison, FL in 1960. He grew up in a Christian home and accepted Christ as a teenager. James graduated high school from Madison County Training School in 1962. Following in his parents footsteps he received his B.S. degree from Tuskegee Institute in 1967. He proudly and courageously served in the U.S. Army from 1967 to 1969 as Specialist 5. He received his Master of Science degree in Business Management from Rollins College in 1976 and his Doctor of Education from University of Central Florida in the year 2000. James was indeed an intelligent man. He taught math and science in Blakely, GA., Orlando, FL and Melbourne, FL. He was a college mathematics professor at Brevard Community College and North Florida Community College during the period of 1993-2008. His organizational memberships included the Kappa Alpha Psi Fraternity, NAACP, Urban League and SPLC. He meticulously worked in the aerospace industry at Martin Marietta now known as Lockheed Martin, also General Dynamics, ITT and Harris Corporation. So far, this has been about his professional life, now let us remember his devoted family life. James was the second child of six children. His siblings are Carl Brown, Ronald Brown, Janice Walker, Cathy Martin and Wayne Brown. He married his high school sweetheart, the beautiful Gloria Jean Hubbard, daughter of his beloved in-laws Deacon Arthur Hubbard, Jr. and Lillie B. Hubbard in 1967. From their marital union of 23 years were born two lovely daughters: Camye Brown Mackey (Karl), Atlanta, GA. and Mitzi Brown Bell (Michael), Orlando, FL. He is also the father of his lovely daughter, Heather Valitheia Claibon of Birmingham, Alabama. His endearing grandchildren are Jazmin 17, Jada 14, Dominic 12, Julia 11, the twins Collin 8 Carter 8, Isaiah 7 and little Naomi, 5 years old. He also leaves behind, bonded for life sister-in-laws, brother-in-laws, nieces, nephews, cousins and friends.